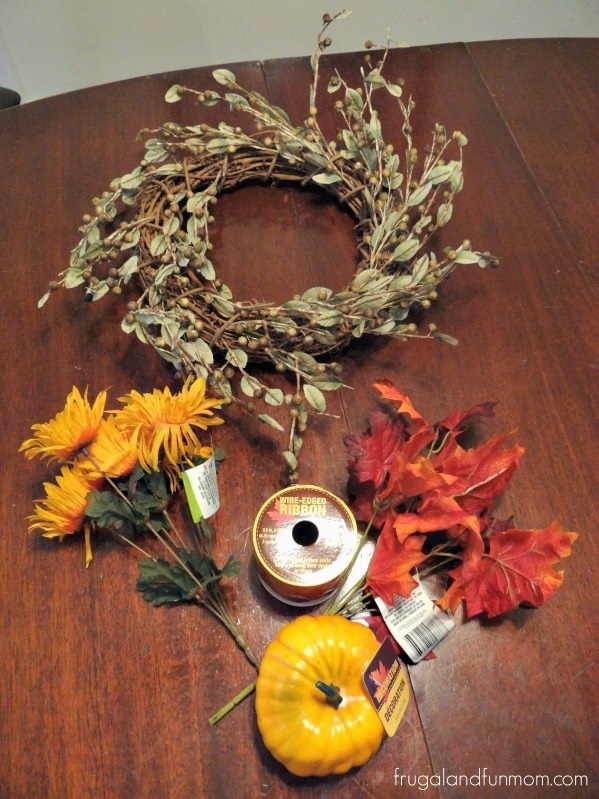 This Fall Wreath Idea is probably one of the most frugal and resourceful crafts I have completed. The whole process actually started before summer when I found a wreath at a garage sale for a $1.00. 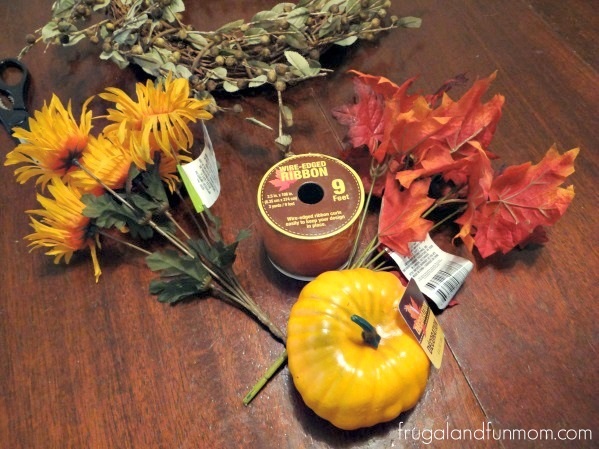 This past week, I went to my local Dollar Store and bought a foam pumpkin, 9 feet of ribbon, 1 set of maple fall leaves, and 1 set of gerbera daisy flowers. I then cut apart the leaves and flowers with utility scissors leaving enough stem so that I could tuck them in between the openings of the wreath. Next, I cut out the ribbon and tied that on. 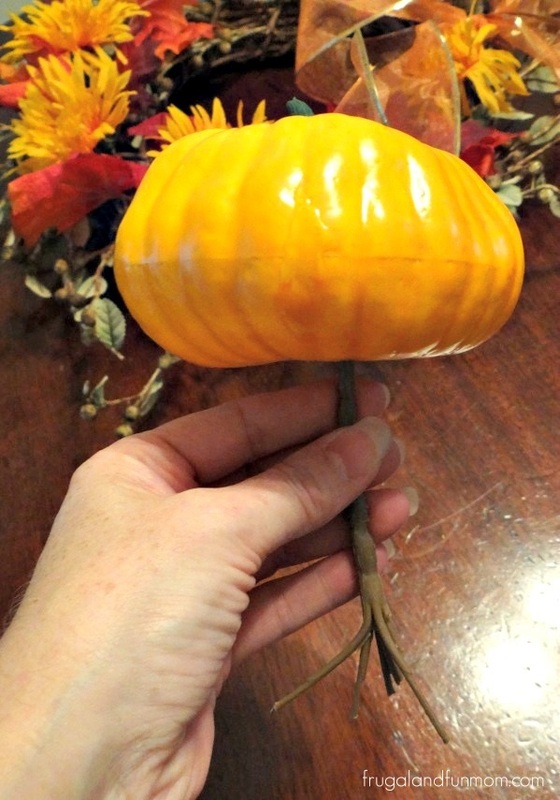 Finally, I took the left over piece of the flowers and stuck that in the back of the pumpkin,. I tucked that into the wreath above the bow. So for a total of $5 and minimal effort, I now have a Fall Decoration at my front door. Since it is no glue, I can do this all over again in the winter, spring, and summer. What kind of garage sale finds have you given an upgrade to? Did you transform it into something totally different? Looking for some additional Garage Sale Inspiration? 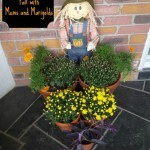 Check out these Galvanized Buckets I bought and decorated –> Flower Arrangement DIY Craft!. Thats impressive. I wish I could actually try this out but sadly my apartment building is not a fan of door decoration. Make one and hang on the inside - you'll see it more often and enjoy it more that way!! 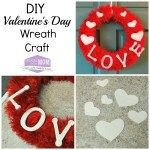 What a cute idea, i like the idea of no glue and being able to recycle the wreath all year long! I loved the wreath before, but you really just took it to a new level and made it so colorful and professional. They sell wreaths like these for $60+ at Michaels! Very pretty wreath for not a lot of moola! That is my kind of decor! I'm always amazed at what finds are at the dollar store! What a fun wreath! 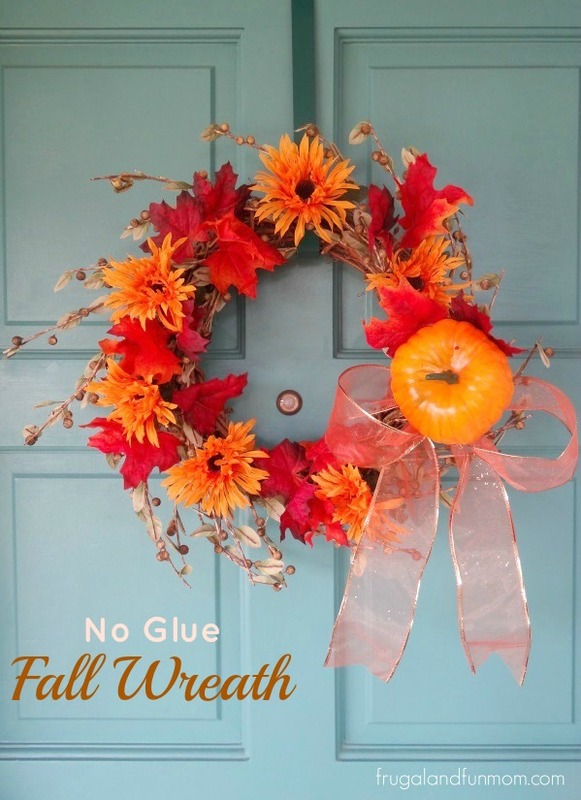 That is such a cute fall wreath! 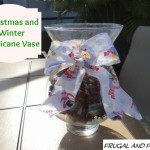 I love that you don't even need glue to make it! That looks so easy, I need to try something like this, I never decorate for the seasons. This looks like a fun easy project. Perfect for the fall season. First of all, I cannot believe you did this with no glue! Secondly, I think this is so pretty! I would love it on my door! I'm actually working on a small table we picked up at a yard sale and making it into a game table! how pretty! i am not the crafty one, but i would buy one like that for sure! I love the colors - Fall brings in the prettiest shades. It looks like it's a far more expensive wreath. This is so pretty! I can't believe that it was assembled with products from the Dollar Store. This would have cost a fortune if you bought it pre-made.